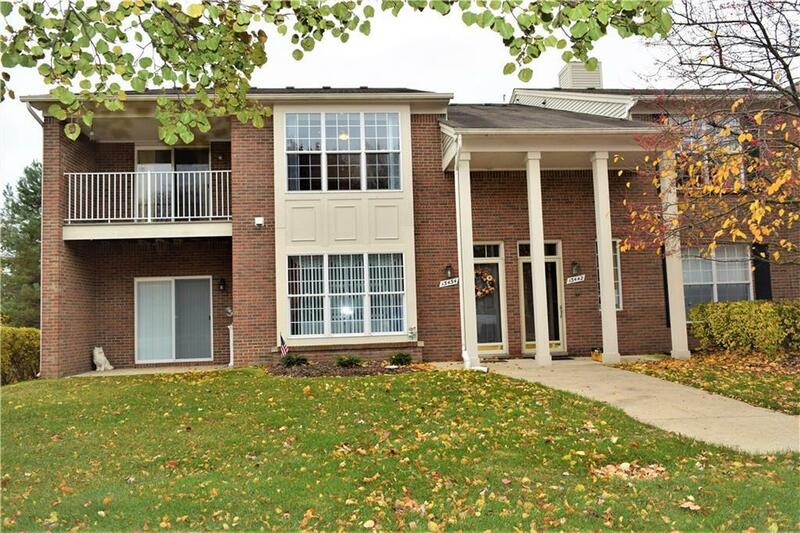 Spacious end unit 2 Bedroom/2 BA Condo in desirable Nottingham Cove. 2nd story ranch features a Great Room with Gas Fireplace, Vaulted ceilings and opens up to a private covered balcony. Large master en suite with walk in closet and serene view of the pond. Open floor plan with over 1,500 sq ft. Dining area with serving buffet and custom cabinets. Open kitchen with breakfast bar. 1 1/2 car attached garage. Storage in laundry rm. Appliances include stove, microwave refrigerator, washer, dryer, dishwasher, and disposal. Tons of storage w/3 walk-in closets. Association fee includes water, landscaping, and snow removal. Conveniently located near shopping!